in the configuration of the model I found. I only have a teaser photo of a quick movement photo I took to check out what was under the hood, but I will post more about it tomorrow. 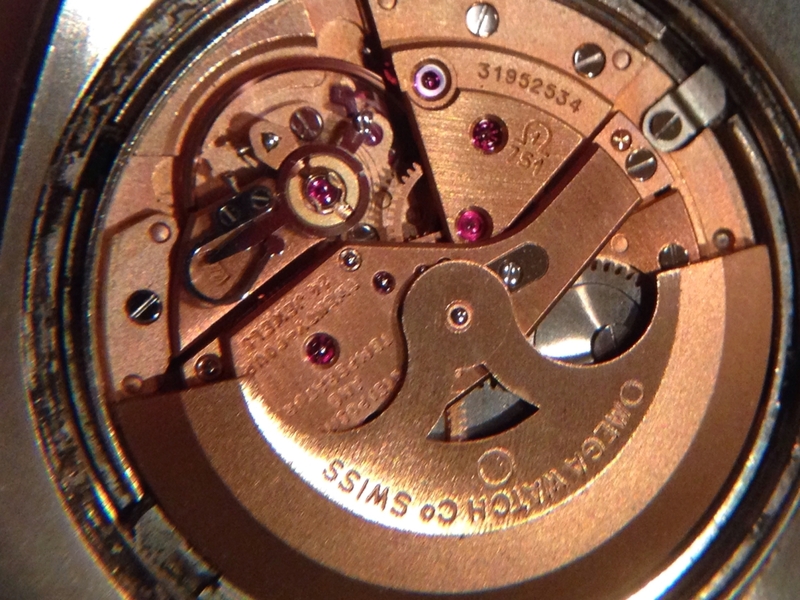 The movement is clean as a whistle, but as you can see from the photo the gasket disintegrated when I opened the case back. The gasket is a minor issue as I will order a replacement gasket for it, but the watch is awesome and a recent release by Omega has a design clue based on this model. It's been a long time since I have bought an Omega watch and this one fell into my lap today despite waking up with no intentions of getting a new watch today. Previous Topic: How do you feel about the Omega DeVille Prestige Co-Axial 39.5mm?